It sounds like The Weeknd is still pretty bitter about his breakup with Selena Gomez. 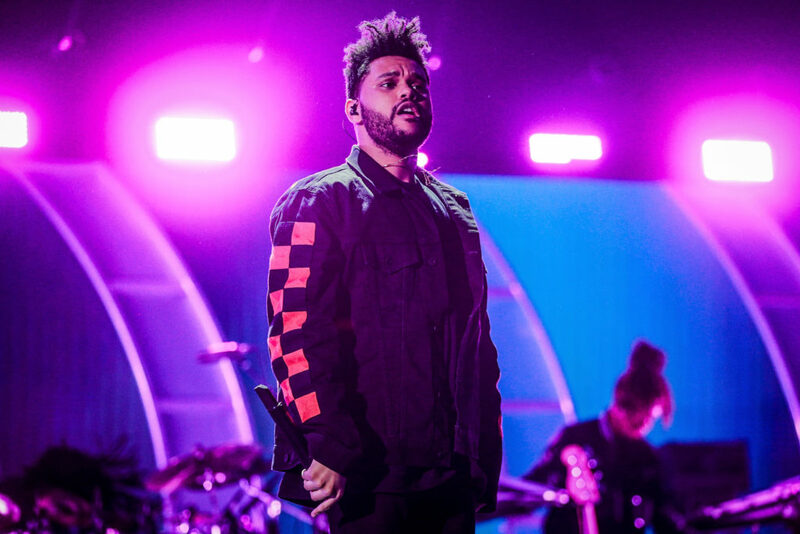 The 28-year-old surprised fans Thursday, March 29, when he dropped a six-song EP titled My Dear Melancholy. As expected, the six-song opus was filled with tracks of heartbreaks and heartaches, leading many fans to question the inspiration and — more importantly — who hurt him so much that he just had to make a new album about them. Naturally, followers cast their sights on his last girlfriend, who almost immediately rebounded with on-and-off beau Justin Bieber after splitting with the “Starboy” singer last year. If the suspicious timeline didn’t make you raise your eyebrows, The Weeknd’s scathing lyrics about this person who scorned TF out of him certainly will! It sounds like The Weeknd is coming after Selena Gomez. The 28-year-old just dropped a surprise six-song EP titled My Dear Melancholy, and many fans couldn’t help but to notice that the lyrics to his tracks about heartbreak and heartache sound eerily like the failed relationship he had with the “Wolves” songstress. Channeling his inner Taylor Swift, the Canadian crooner throws massive shade at an unnamed ex in the scathing lyrics on “Call Out My Name,” a song that seemingly references Selena’s kidney transplant. Oof. As Celebuzz! previously reported, Selena was still dating The Weeknd when her organs began to fail due to complications from lupus. The Disney Channel alum admittedly had a difficult time finding a donor candidate before best friend Francia Raisa volunteered to donate her kidney. Does this mean The Weeknd also offered up his to save her life? Many fans also speculated the lyrics were also referencing Selena’s quick rebound back to on-again, off-again boyfriend Justin Bieber following her late 2017 split with the “Starboy” hitmaker. In “Try Me,” The Weeknd sings about getting caught middle of a relationship already in progress. As Selena has often rekindled her romance with Justin, 24, listeners suspected that the Toronto native is singing about being unintentionally wrapped up in their roller coaster relationship. As fans know, the 13 Reasons Why producer has multiple scars left on her body from the life-saving operation, including one massive gash on her leg when she had to undergo an emergency follow-up surgery.